They could be the Richard Bransons and Duncan Bannatynes of tomorrow. 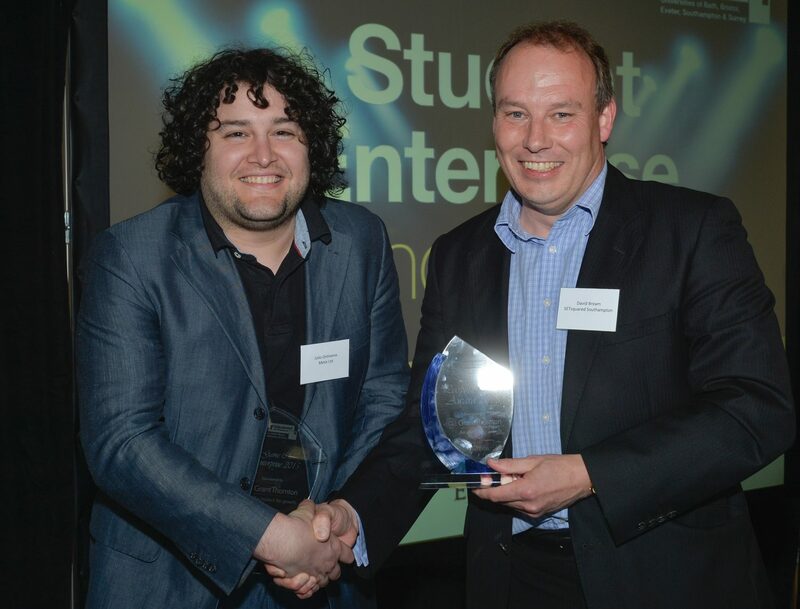 And last night (June 4) they were honoured for their entrepreneurial spirit as SETsquared held its annual Student Enterprise Awards at St Mary’s Stadium. SETsquared, a partnership of the universities of Bath, Bristol, Exeter, Southampton and Surrey, brought together its top student and graduate entrepreneurs for an evening of pitching and awards. SanEco (winner, Best Student Enterprise, Southampton) – SanEco is a social enterprise business that empowers communities using sanitation and empowers entrepreneurs to change their own lives and their communities forever. DividaBill (winner, Best Graduate Enterprise, Southampton) – The graduate business was set up by Jon and Saumeel, who had trouble with dealing with their bills while studying at The University of Southampton. They decided to solve the problem by setting up a business where customers can sign up once and all their bills are set up and managed. The system saves over £100 a year compared to leading providers. Metix Ltd (winner, Game Changer Social Enterprise, Southampton) – a medical technology company that is developing a robust handheld vital signs monitor called COREMED® Aid. The evening also saw inspirational talks from local business leaders. Max Toti, managing director and chief technology officer of Captec Ltd, gave guests his advice on how to become a successful entrepreneur. An alumni of The University of Southampton, he is a visiting lecturer for UK technology universities on innovation, entrepreneurship and wealth creation. Norman Armstrong, partner at Grant Thornton, also spoke at the event and urged the young entrepreneurs to use their businesses to make a difference to society.